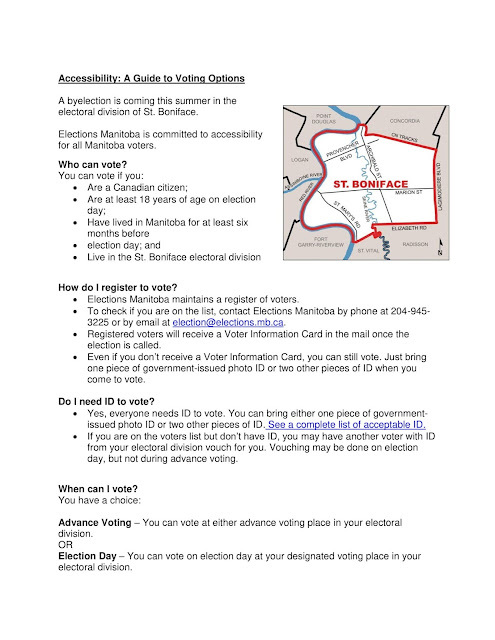 One of the action items in Elections Manitoba’s Accessibility Plan was to partner with disabilities organizations on an ongoing basis to inform the disabilities community about accessibility services and voting opportunities. 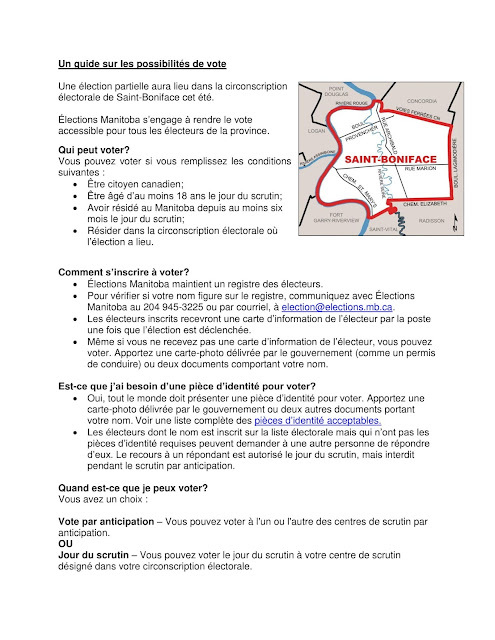 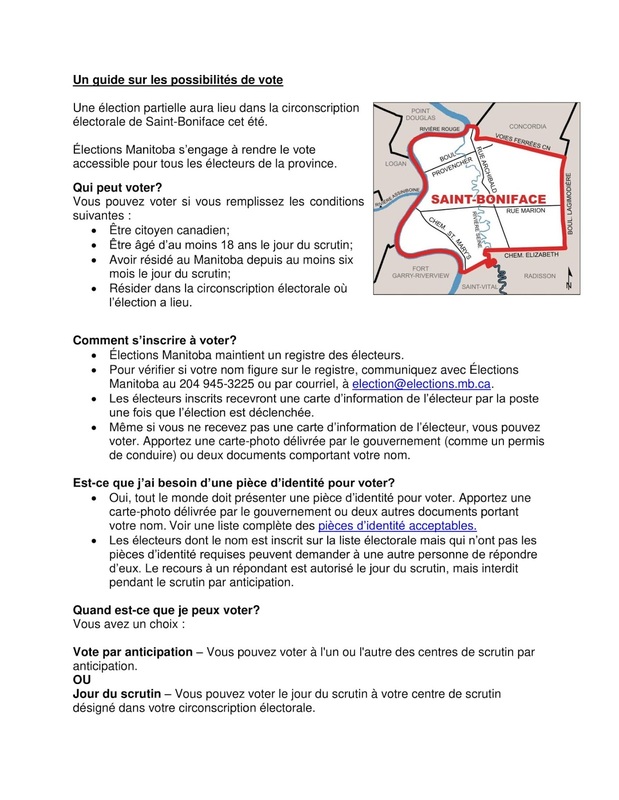 As you may be aware, a byelection will be held this summer in the electoral division of St. Boniface. 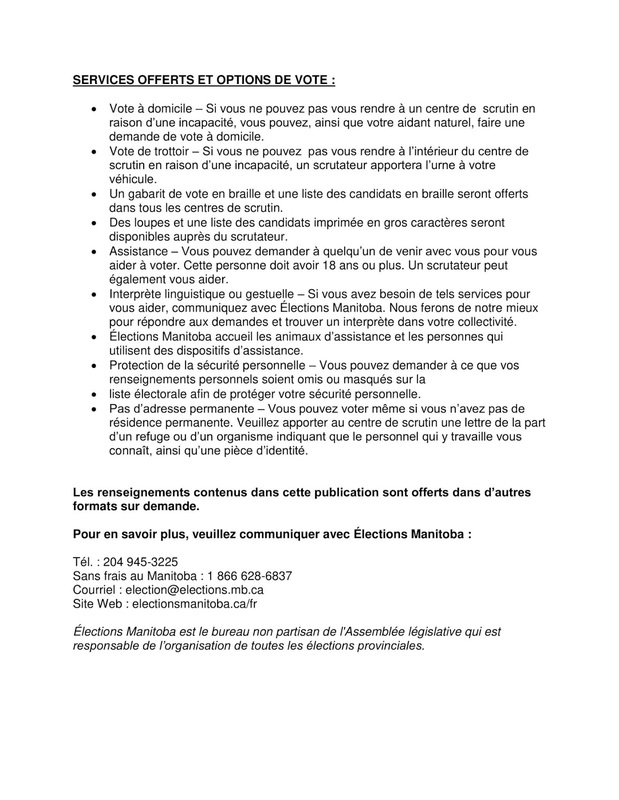 The date hasn’t been set yet, but it must be called before the end of July. 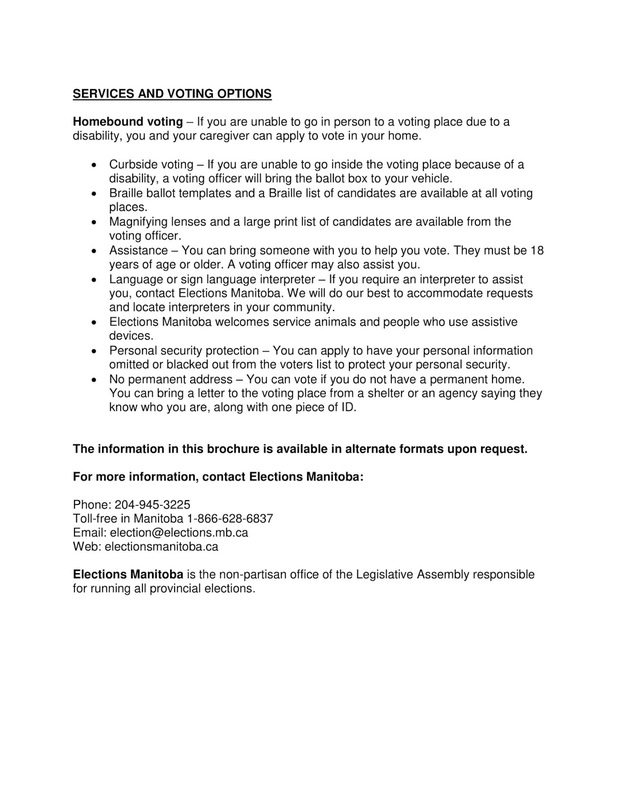 We have prepared a document with information on voter registration and voting, with a specific focus on accessible voting. We encourage you to share this with any of your membership that would benefit. If you have any questions or need anything further, or if you have suggestions on others who would be interested in receiving this, please let me know.